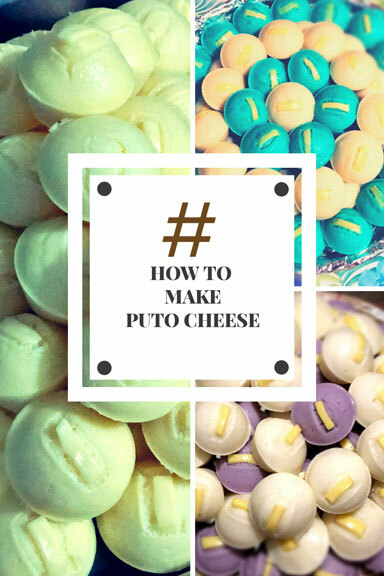 I am sharing with you a Puto Cheese recipe from one of my Facebook group. 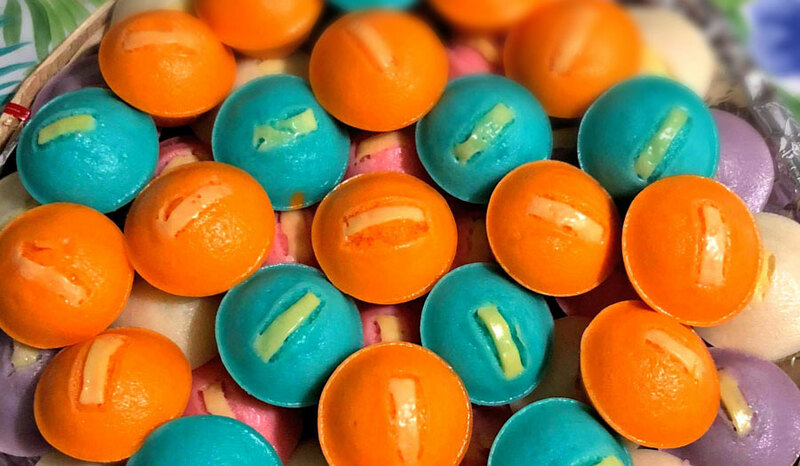 I like this post about puto because it was as colorful as Christmas balls and as bright as Christmas lights. It just made me realize that Christmas is coming in a few days. It made me feel that Yuletide season is not only for children. During this season, parties are everywhere. There are Christmas parties in schools, offices, Zumba classes, parties in different associations and clubs and a bunch more. People are bringing foods (potluck) of any kind to share with others. 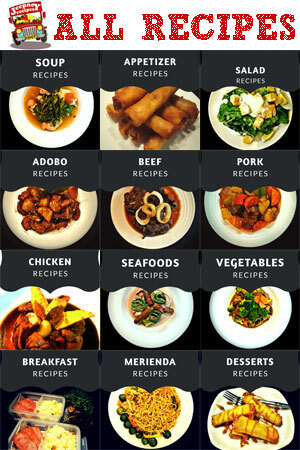 There are some who desire to display their best recipes, some who has no time to cook and end up buying from the restaurants, and the others who just want to eat what other people bring (hehehe). 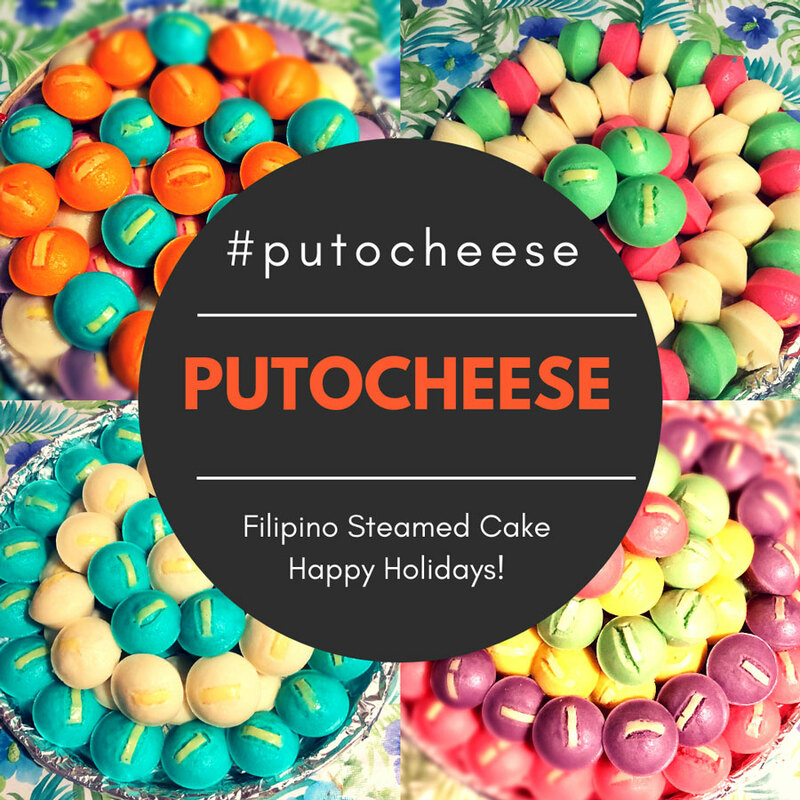 Kidding aside, puto is one of the most popular potlucks to bring. Why? Because it’s inexpensive, it’s not easy getting spoiled, lightweight and a good substitute to a rice. Puto can be consumed as is or can be partnered to a number of mouth-watering dishes. I suggest you to eat it with Pork Dinuguan because these two complement each other. Puto? How Is It Made? 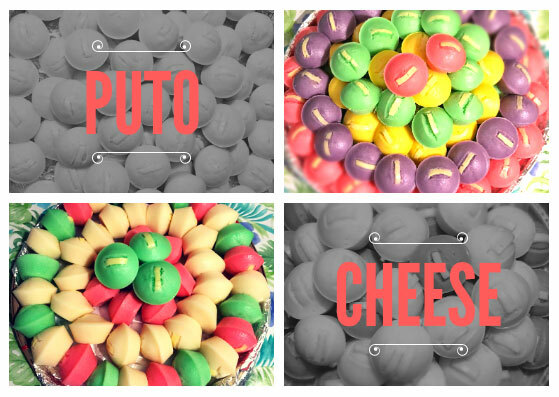 Puto, the classic one is made from slightly fermented rice dough or “galapong" in Filipino. But before the fermentation process, you have to soak the rice overnight, then mash it with electric grinding machine (traditionally with stone mills). It is then steamed for a pair of minutes, depending on the size and amount of the puto batter. 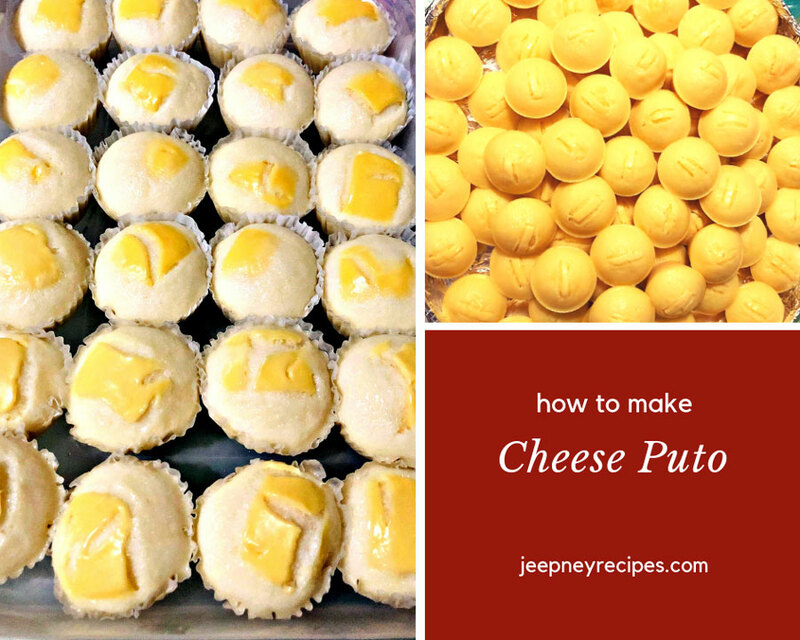 Like any other Filipino delicacies, puto has its own versions and Puto Cheese (Cheese Puto) will be the one to be featured in this post. Also, the main ingredient which is the rice will be excluded and replaced by All purpose flour or you can use cake flour if you desire. Since we will be using flour for this recipe, we will be able to save time and effort and focus more on the taste test (which is the best part of every cooking). 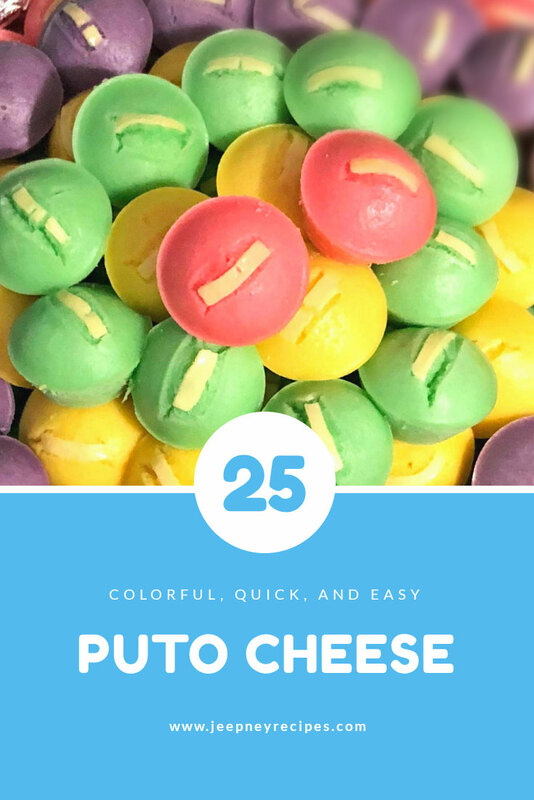 This colorful recipe is from Ross Jumatay, a single and proud young entrepreneur selling her stuff (and food) Online and some of those are Filipino delicacies like Leche flan, Kutsinta and of course Puto Cheese. I highly recommend her if you want to order some kakanin (Filipino snacks) this coming Christmas. Just give her a call/message at +639196754408. This is just my little way of thanking her for having this post. Is It Hard to Make Puto Cheese? Making Puto Cheese is simple. Its ingredients are readily available in groceries and supermarkets, you can even just go to your favorite Sari-sari store and buy all the things you need for this recipe. For the cooking itself, you don’t need to possess a skill in baking or what so ever. If you can cook pancake then you can play along this easy recipe. Simply combine all the dry ingredients and do the same with the wet ones. After that, mix them together in one large bowl, strain and then allow the batter to sit before you steam it. Boil enough amount of water into a steamer or pot. Sift flour, sugar, baking powder and salt. Combine dry ingredients in a large bowl. Mix well. Combine all the wet ingredients to another bowl and mix well but do not overdo it. Strain the batter TWICE into another bowl to ensure that there are no lumps. Lightly brush the medium puto mold #307 (or you can use muffin tin) with vegetable oil. Fill the mold ¾ full with the puto batter. Important: Let the puto batter rest for around 30 minutes before the steaming process. Once the steamer is ready, place and arrange the mold inside and cover with a lid. Steam the puto over a low fire for 8 to 10 minutes then place the sliced cheese on top. Cover and steam for 3 to 5 minutes or until a toothpick inserted in the center of the puto comes out clean. Remove the steamed puto cheese out of the steamer. Let it cool down completely. Gently take out the puto from the mold with the help of a spatula. Arrange into serving plate. Best served with Dinuguan.